1. Pilgrim’s Trail Thanksgiving Day 5k and Fun Run for the DayStar House. All proceeds from this run will be donated to DayStar Women and Children’s House in Cullman. The DayStar house is a temporary home for struggling women and their children. For more info or to register, click here. 2. Sam Lapidus Montclair Run — 5K, 10K and 1 Mile Fun Run. Part of the proceeds will go to the Alabama Center for Childhood Cancer and Blood Disorders at Children’s of Alabama. As such, all donations will help children in Alabama by enhancing services, building new programs and recruiting new physicians and researchers. Find more info online here. 3. Volunteer with the Jimmie Hale Mission. The Jimmie Hale Mission needs your support. You can decorate placemats for shelter visitors. Or, you could package and deliver hot meals on Thanksgiving day. Also, you could help to serve dinner at the shelter. Whichever option you choose, they need dozens of volunteers to make Thanksgiving possible for Birmingham’s less fortunate. Sign-ups to volunteer open the first week of November on this website. Involve your neighbors, your church groups or your coworkers to gather food and donations to support others this holiday season. Canned meats and vegetables, peanut butter, canned soups, pasta, cereal, and canned fruits are needed. Drop off the food donations to the food bank at 107 Walter Davis Drive, Birmingham AL 35209. 5. … Or volunteer at the Community Food Bank of Central Alabama warehouse. Small groups of volunteers are needed to help sort donated food. The hours for this are flexible. Also, you can set your hours anytime during their operating schedule. Sign up here. 6. 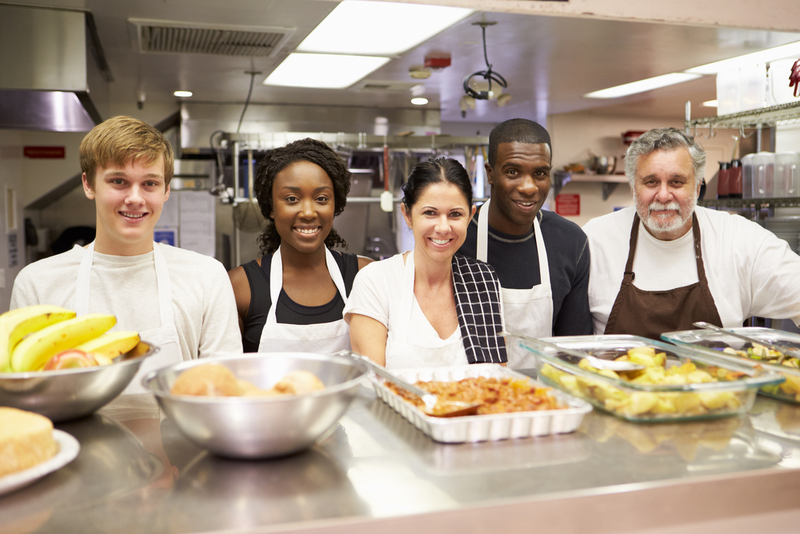 Serve meals this Thanksgiving weekend with The Community Kitchens of Birmingham. Their two locations serve hot meals 365 days a year. As they are especially busy during the holiday season, they could use your help! In order to sign up to volunteer, visit this website. Show gratitude this Thanksgiving by giving back to the Birmingham community. These organizations need your help!